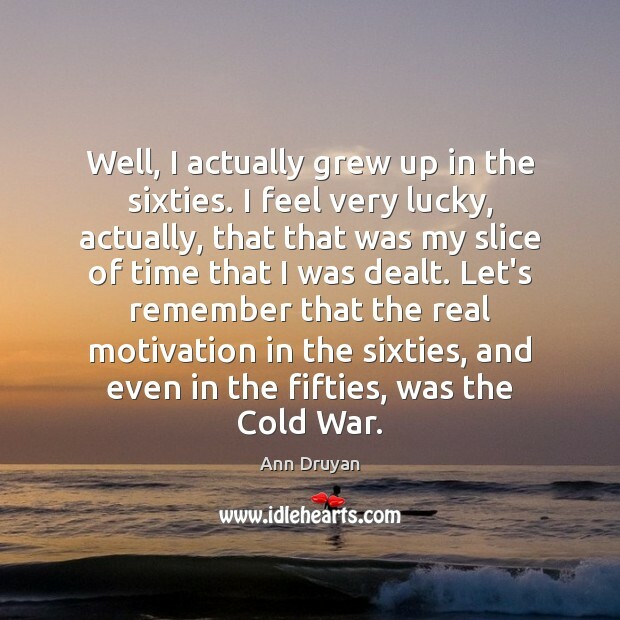 Enjoy the best inspirational, motivational, positive, funny and famous quotes by Ann Druyan. Use words and picture quotations to push forward and inspire you keep going in life! 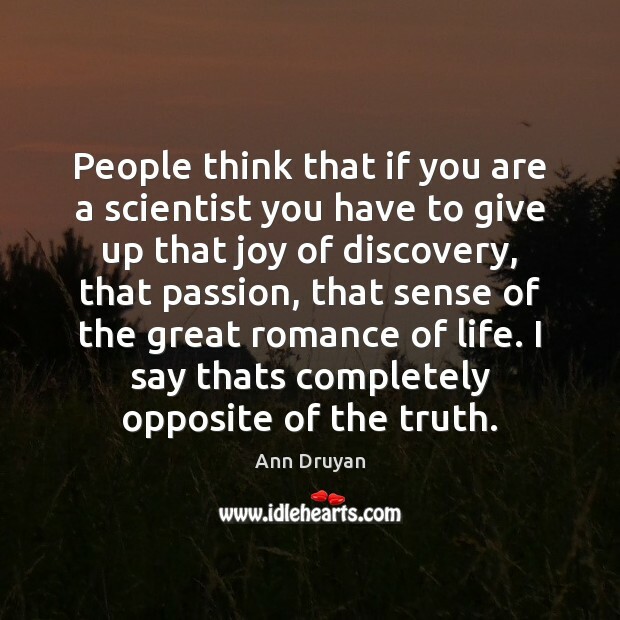 People think that if you are a scientist you have to give up that joy of discovery, that passion, that sense of the great romance of life. I say thats completely opposite of the truth. 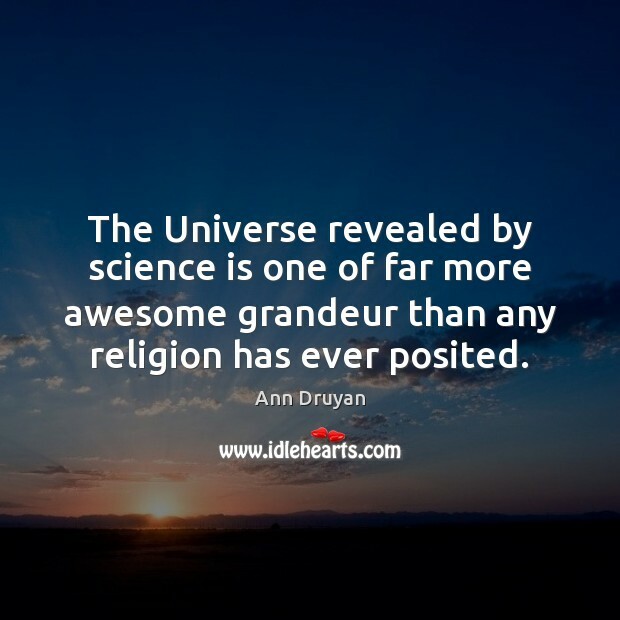 The Universe revealed by science is one of far more awesome grandeur than any religion has ever posited. 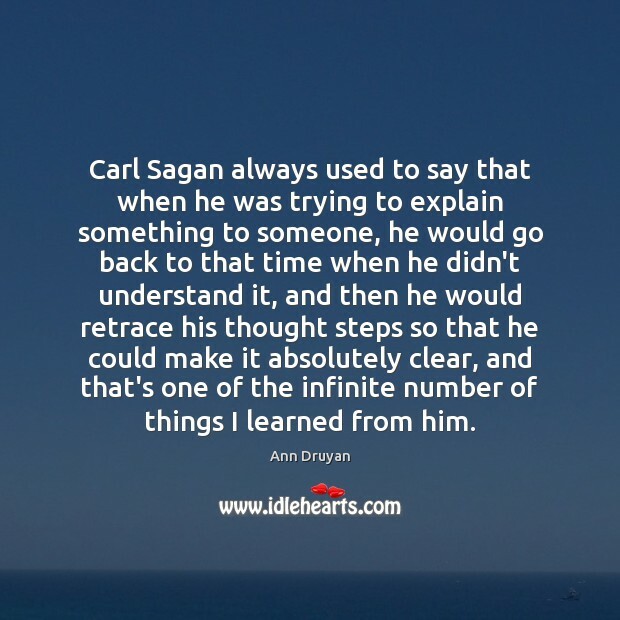 Carl Sagan always used to say that when he was trying to explain something to someone, he would go back to that time when he didn't understand it, and then he would retrace his thought steps so that he could make it absolutely clear, and that's one of the infinite number of things I learned from him. 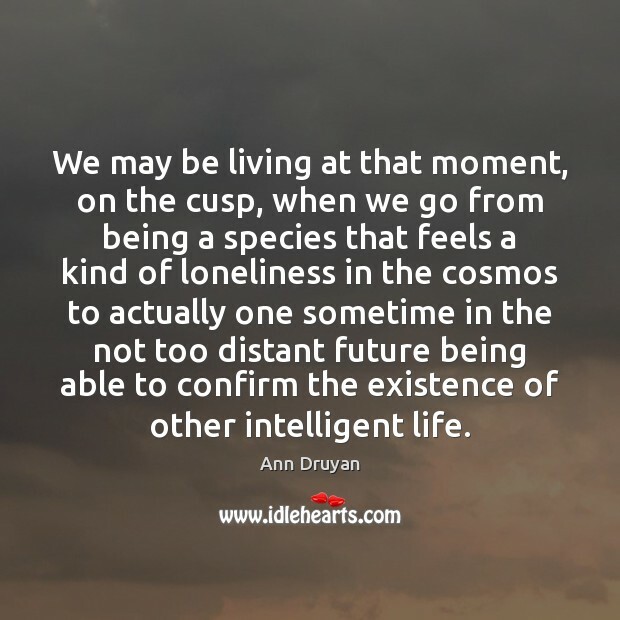 We may be living at that moment, on the cusp, when we go from being a species that feels a kind of loneliness in the cosmos to actually one sometime in the not too distant future being able to confirm the existence of other intelligent life. 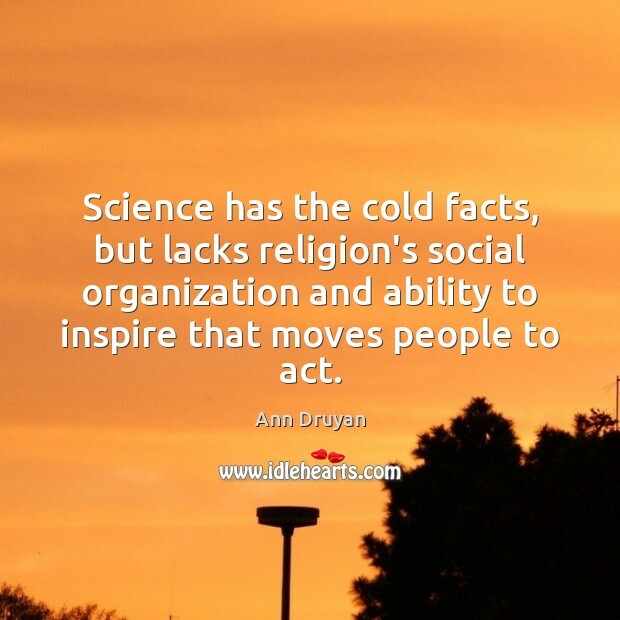 Science has the cold facts, but lacks religion's social organization and ability to inspire that moves people to act. 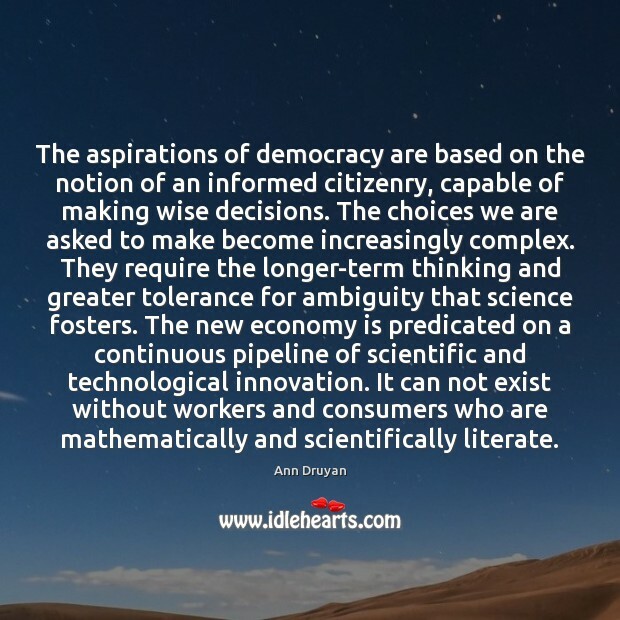 The aspirations of democracy are based on the notion of an informed citizenry, capable of making wise decisions. 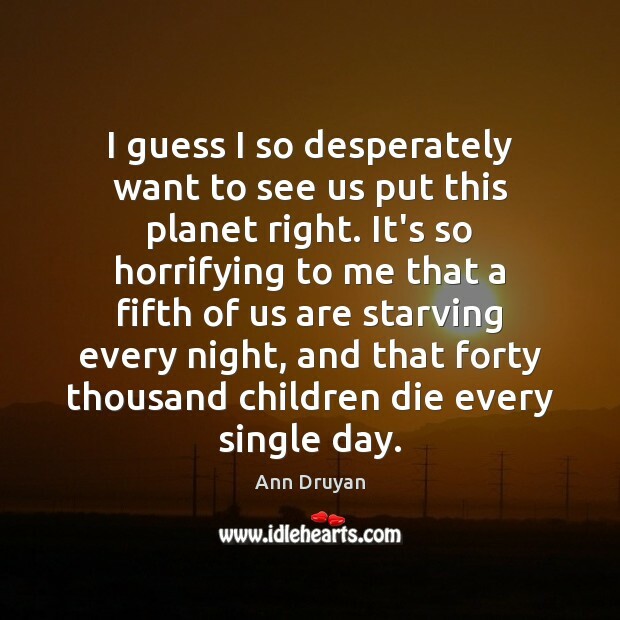 The choices we are asked to make become increasingly complex. They require the longer-term thinking and greater tolerance for ambiguity that science fosters. The new economy is predicated on a continuous pipeline of scientific and technological innovation. It can not exist without workers and consumers who are mathematically and scientifically literate. 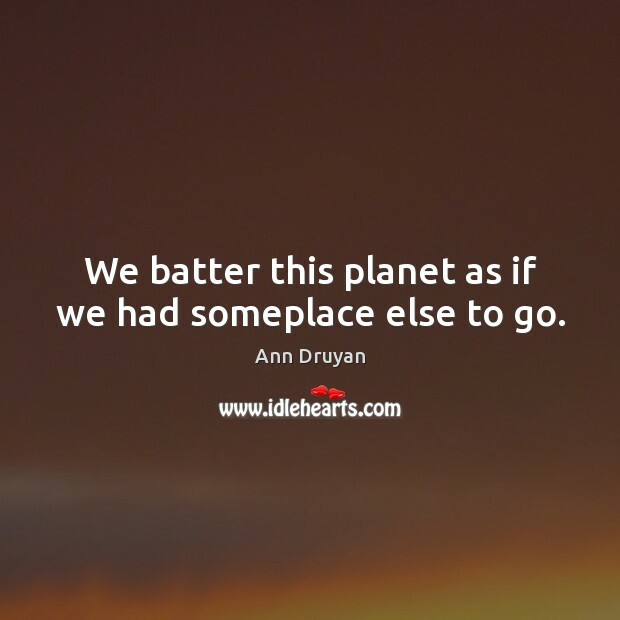 We batter this planet as if we had someplace else to go. 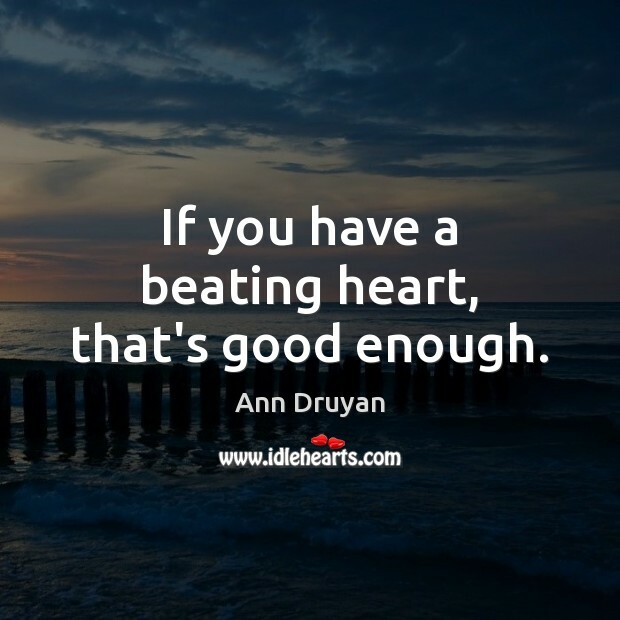 If you have a beating heart, that's good enough. 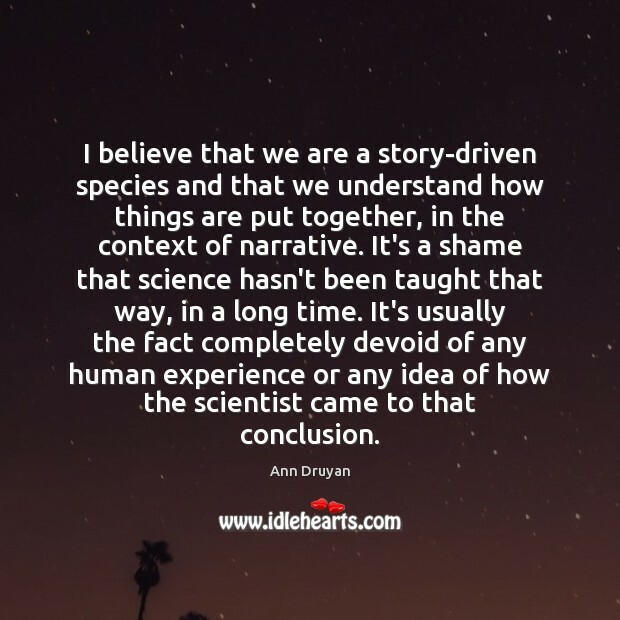 I believe that we are a story-driven species and that we understand how things are put together, in the context of narrative. 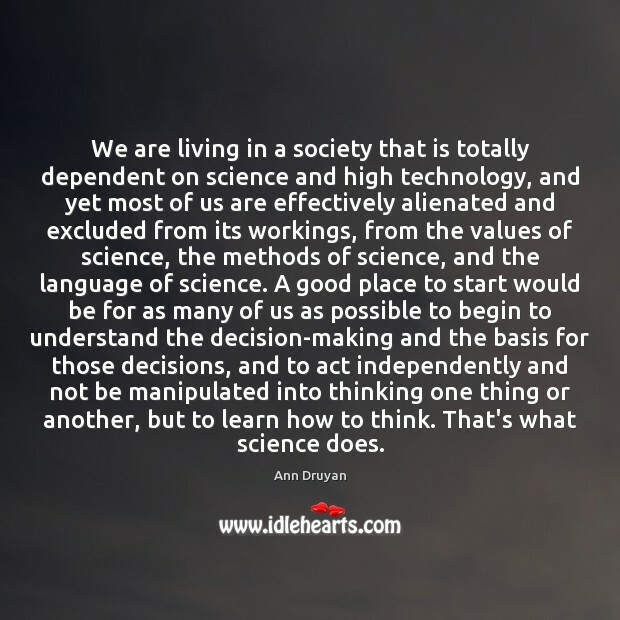 It's a shame that science hasn't been taught that way, in a long time. 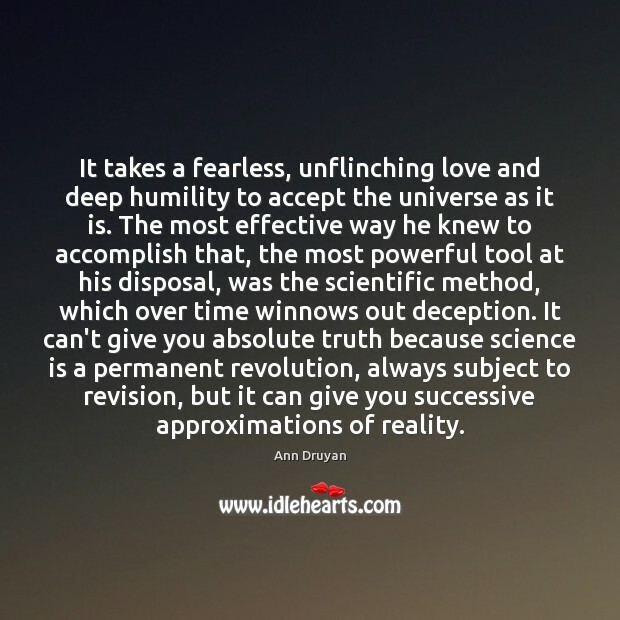 It's usually the fact completely devoid of any human experience or any idea of how the scientist came to that conclusion. 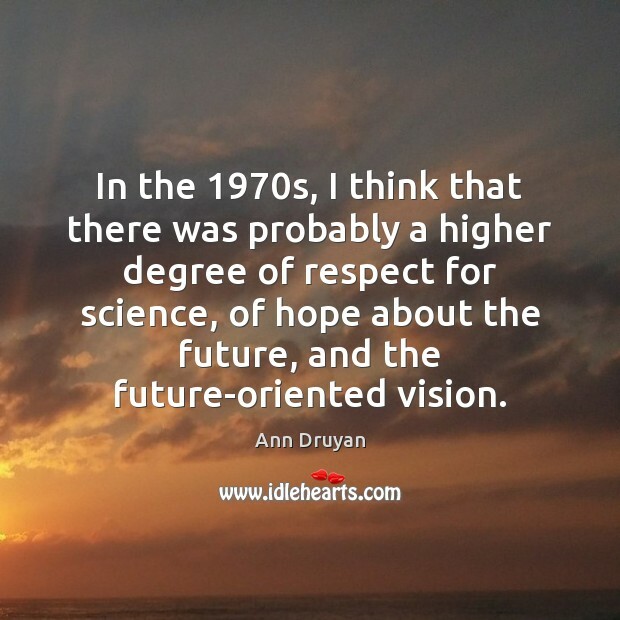 In the 1970s, I think that there was probably a higher degree of respect for science, of hope about the future, and the future-oriented vision. 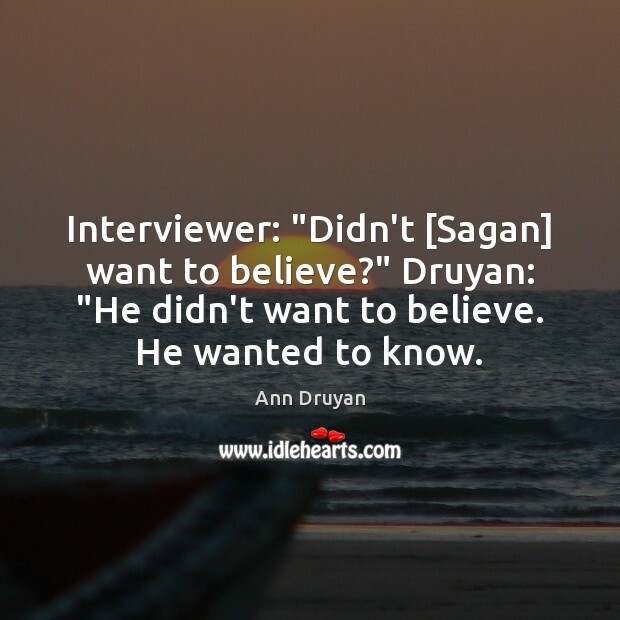 Interviewer: "Didn't [Sagan] want to believe?" 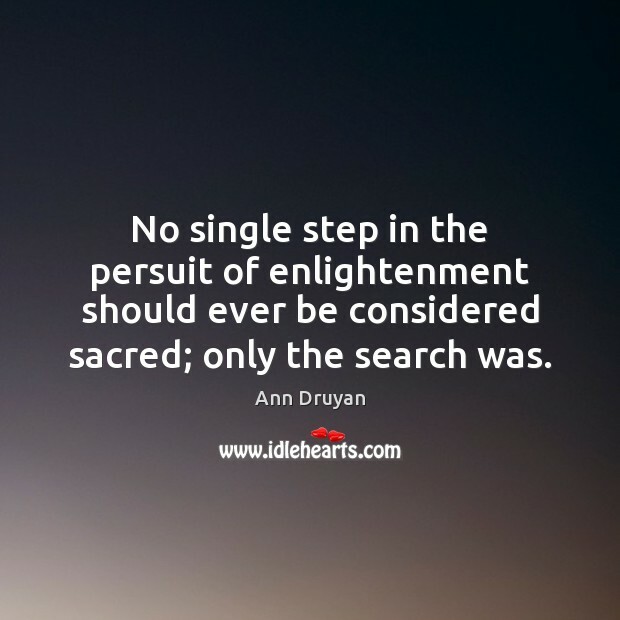 Druyan: "He didn't want to believe. He wanted to know. 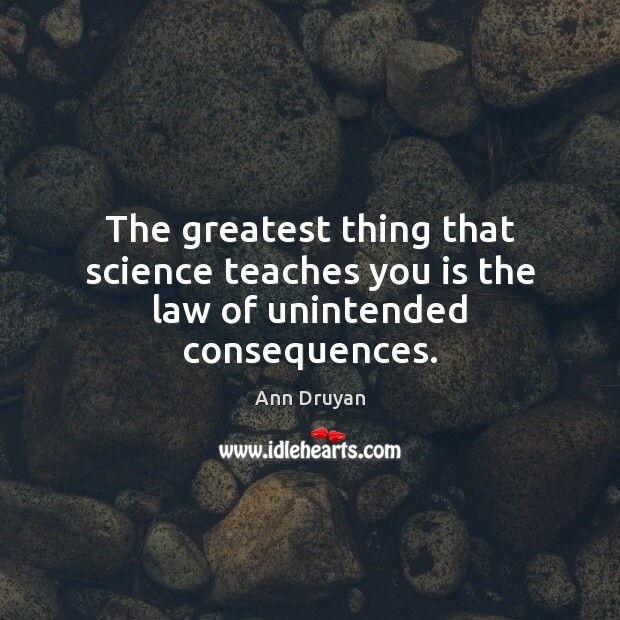 The greatest thing that science teaches you is the law of unintended consequences.